Snake venom is highly modified saliva containing zootoxins which facilitates the immobilization and digestion of prey, and defends against threats. It is injected by unique fangs after a bite, and some species are also able to spit. A) An exchange of ions (charged atoms) across the nerve cell membrane sends a depolarizing current towards the end of the nerve cell (cell terminus). B) When the depolarizing current arrives at the nerve cell terminus, the neurotransmitter acetylcholine (ACh), which is held in vesicles, is released into the space between the two nerves (synapse). 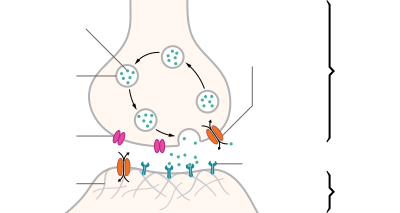 It moves across the synapse to the postsynaptic receptors. Dendrotoxins inhibit neurotransmissions by blocking the exchange of positive and negative ions across the neuronal membrane lead to no nerve impulse, thereby paralysing the nerves. Hemotoxins cause hemolysis, the destruction of red blood cells (erythrocytes), or induce blood coagulation (clotting). A common family of hemotoxins are snake venom metalloproteinases. The toxicity of snake venom is assessed by a toxicological test called the median lethal dose, LD50, (an abbreviation for "lethal dose, 50%"), which determines the concentration of a toxin required to kill half the members of a tested population of animals. The potency of the venom of wild snakes varies considerably, even within any single species. This is because of assorted influences such as biophysical environment, physiological status, ecological variables, genetic variation (either adaptive or incidental) and various other molecular- and ecological evolutionary factors. Such variation necessarily is smaller in captive populations in controlled laboratory settings though it cannot be eliminated altogether. However, studies to determine snake venom lethality or potency need to be designed to minimise variability and several techniques have been designed to this end. One approach that is considered particularly helpful is to use 0.1% bovine serum albumin (also known as "Fraction V" in Cohn process) as a diluent in determining LD50 values for various species. It results in far more accurate and consistent median lethal dose (LD50) determinations than for example using 0.1% saline as a diluent. Fraction V produces about 95% purified albumin, which is the dried crude venom. Saline as a diluent consistently produces widely varying LD50 results for nearly all venomous snakes; it produces unpredictable variation in the purity of the precipitate (range from 35-60%). Fraction V is structurally stable because it has seventeen disulfide bonds; it is unique in that it has the highest solubility and lowest isoelectric point of all the major plasma proteins. This makes it the final fraction to be precipitated from its solution. Bovine serum albumin is located in fraction V. The precipitation of albumin is done by reducing the pH to 4.8, which is near the pI of the proteins, and maintaining the ethanol concentration to be 40%, with a protein concentration of 1%. Thus, only 1% of the original plasma remains in the fifth fraction. When the ultimate goal of plasma processing is a purified plasma component for injection or transfusion, the plasma component must be highly pure. The first practical large-scale method of blood plasma fractionation was developed by Edwin J. Cohn during World War II. It is known as the Cohn process (or Cohn method). This process is also known as cold ethanol fractionation as it involves gradually increasing the concentration of ethanol in the solution at 5oC and 3oC. The Cohn Process exploits differences in properties of the various plasma proteins, specifically, the high solubility and low pI of albumin. As the ethanol concentration is increased in stages from 0% to 40% the [pH] is lowered from neutral (pH ~ 7) to about 4.8, which is near the pI of albumin. At each stage certain proteins are precipitated out of the solution and removed. The final precipitate is purified albumin. Several variations to this process exist, including an adapted method by Nitschmann and Kistler that uses less steps, and replaces centrifugation and bulk freezing with filtration and diafiltration. Some newer methods of albumin purification add additional purification steps to the Cohn Process and its variations. Chromatographic albumin processing as an alternative to the Cohn Process emerged in the early 1980s, however, it was not widely adopted until later due to the inadequate availability of large scale chromatography equipment. Methods incorporating chromatography generally begin with cryo-depleted plasma undergoing buffer exchange via either diafiltration or buffer exchange chromatography, to prepare the plasma for following ion exchange chromatography steps. After ion exchange there are generally further chromatographic purification steps and buffer exchange. However, chromatographic methods for separation started being adopted in the early 1980s. Developments were ongoing in the time period between when Cohn fractionation started being used, in 1946, and when chromatography started being used, in 1983. In 1962, the Kistler & Nistchmann process was created which was a spin-off of the Cohn process. Chromatographic processes began to take shape in 1983. In the 1990s, the Zenalb and the CSL Albumex processes were created which incorporated chromatography with a few variations. The general approach to using chromatography for plasma fractionation for albumin is: recovery of supernatant I, delipidation, anion exchange chromatography, cation exchange chromatography, and gel filtration chromatography. The recovered purified material is formulated with combinations of sodium octanoate and sodium N-acetyl tryptophanate and then subjected to viral inactivation procedures, including pasteurisation at 60 °C. This is a more efficient alternative than the Cohn process for four main reasons: 1) smooth automation and a relatively inexpensive plant was needed, 2) easier to sterilize equipment and maintain a good manufacturing environment, 3) chromatographic processes are less damaging to the albumin protein, and 4) a more successful albumin end result can be achieved. Compared with the Cohn process, the albumin purity went up from about 95% to 98% using chromatography, and the yield increased from about 65% to 85%. Small percentage increases make a difference in regard to sensitive measurements like purity. There is one big drawback in using chromatography, which has to do with the economics of the process. Although the method was efficient from the processing aspect, acquiring the necessary equipment is a big task. Large machinery is necessary, and for a long time the lack of equipment availability was not conducive to its widespread use. The components are more readily available now but it is still a work in progress. Venom evolved just once among all Toxicofera approximately 170 million years ago, and then diversified into the huge venom diversity seen today. The original toxicoferan venom was a very simple set of proteins that were assembled in a pair of glands. Subsequently, this set of proteins evolved independently in the various lineages of toxicoferans, including Serpentes, Anguimorpha, and Iguania. Several snake lineages have since lost the ability to produce venom, often due to a change in diet. The evolution of venom is thought to be responsible for the enormous expansion of snakes across the globe. The mechanism of evolution in most cases has been gene duplication in tissues unrelated to the venom, followed by expression of the new protein in the venom gland. This was followed by natural selection for adaptive traits following the birth-and-death model, where duplication is followed by functional diversification, resulting in the creation of structurally related proteins that have slightly different functions. The study of venom evolution has been a high priority for scientists in terms of scientific research. This is due to medical relevance of snake venom, in terms of making anti-venom and cancer research. The more that is known about the composition of venom and the ways it can potentially evolve is very beneficial. There are three main factors that affect venom evolution that have been closely studied: predators of the snake that are resistant to snake venom, prey that are in an evolutionary arms race with snakes, and the specific diets that affect intraspecific evolution of venom. Venoms continue to evolve as specific toxins are modified to target a specific prey, and it is found that toxins vary according to diet in some species. Rapid venom evolution can also be explained by the arms race between venom targeted molecules in resistant predators, such as the opossum, and the snake venom that targets the molecules. Scientists performed experiments on the opossums and found that there were multiple trials that showed replacement to silent substitutions in the von Willebrand Factor (vWF) gene which encodes for a venom-targeted hemostatic blood protein. These substitutions are thought to weaken the connection between vWF and a toxic snake venom ligand (botrocetin) which changes the net charge and hydrophobicity. These results are significant to the venom evolution because it is the first citation of rapid evolution in a venom-targeted molecule. This shows that an evolutionary arms race may be occurring in terms of defensive purposes. Alternative hypotheses suggest that venom evolution is due to trophic adaption, whereas these scientist believe, in this case, that selection would occur on traits that help with prey survival in terms of venom evolution instead of predation success. Several other predators of the pit viper (mongooses and hedgehogs) show the same type of relationship between snakes, which helps to support the hypothesis that venom has a very strong defensive role along with a trophic role. Which in turn supports the idea that predation on the snakes can be the arms race that produces snake venom evolution. 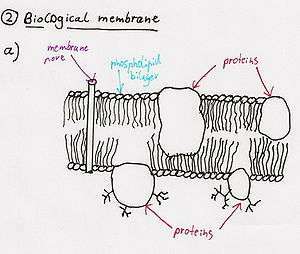 Proteolytic venom dismantles the molecular structure of the area surrounding and including the bite. The bite of all the proteroglyphous elapids, even of the smallest and gentlest, such as the coral snakes, is, so far as known, deadly to humans. The bite is immediately followed by local pain of a burning character; the limb soon swells and becomes discoloured, and within one to three hours great prostration, accompanied by vomiting, and often diarrhoea, sets in. Cold, clammy perspiration is usual. The pulse becomes extremely feeble, and slight dyspnoea and restlessness may be seen. In severe cases, which occur mostly in children, the pulse may become imperceptible and the extremities cold; the patient may pass into coma. In from twelve to twenty-four hours these severe constitutional symptoms usually pass off; but in the meantime the swelling and discoloration have spread enormously. The limb becomes phlegmonous, and occasionally suppurates. Within a few days recovery usually occurs somewhat suddenly, but death may result from the severe depression or from the secondary effects of suppuration. That cases of death, in adults as well as in children, are not infrequent in some parts of the Continent is mentioned in the last chapter of this Introduction. Biologists had long known that some snakes had rear fangs, 'inferior' venom injection mechanisms that might immobilize prey; although a few fatalities were on record, until 1957 the possibility that such snakes were deadly to humans seemed at most remote. The deaths of two prominent herpetologists, Robert Mertens and Karl Schmidt, from African colubrid bites changed that assessment, and recent events reveal that several other species of rear-fanged snakes have venoms that are potentially lethal to large vertebrates. The question whether individual snakes are immune to their own venom has not yet been definitively settled, though there is a known example of a cobra which self-envenomated, resulting in a large abscess requiring surgical intervention, but showing none of the other effects that would have proven rapidly lethal in prey species or humans. Furthermore, certain harmless species, such as the North American common kingsnake (Lampropeltis getula) and the Central and South American mussurana (Clelia spp. ), are proof against the venom of the crotalines which frequent the same districts, and which they are able to overpower and feed upon. The chicken snake (Spilotes pullatus) is the enemy of the Fer-de-Lance (Bothrops caribbaeus) in St. Lucia, and it is said that in their encounters, the chicken snake is invariably the victor. Repeated experiments have shown the European grass snake (Natrix natrix) not to be affected by the bite of the European adder (Vipera berus) and the European asp (Vipera aspis), this being due to the presence, in the blood of the harmless snake, of toxic principles secreted by the parotid and labial glands, and analogous to those of the venom of these vipers. Several North American species of rat snakes as well as king snakes have proven to be immune or highly resistant to the venom of rattlesnake species. The World Health Organization estimates that 80% of the world’s population depends on traditional medicine for their primary health care needs. Methods of traditional treatment of snake bite, although of questionable efficacy and perhaps even harmful, are nonetheless relevant. Plants used to treat snakebites in Trinidad and Tobago are made into tinctures with alcohol or olive oil and kept in rum flasks called 'snake bottles'. Snake bottles contain several different plants and/or insects. The plants used include the vine called monkey ladder (Bauhinia cumanensis or Bauhinia excisa, Fabaceae) which is pounded and put on the bite. Alternatively a tincture is made with a piece of the vine and kept in a snake bottle. Other plants used include: mat root (Aristolochia rugosa), cat's claw (Pithecellobim unguis-cati), tobacco (Nicotiana tabacum), snake bush (Barleria lupulina), obie seed (Cola nitida), and wild gri gri root (Acrocomia aculeata). Some snake bottles also contain the caterpillars (Battus polydamas, Papilionidae) that eat tree leaves (Aristolochia trilobata). Emergency snake medicines are obtained by chewing a three-inch piece of the root of bois canôt (Cecropia peltata) and administering this chewed-root solution to the bitten subject (usually a hunting dog). This is a common native plant of Latin America and the Caribbean which makes it appropriate as an emergency remedy. Another native plant used is mardi gras (Renealmia alpinia)(berries), which are crushed together with the juice of wild cane (Costus scaber) and given to the bitten. Quick fixes have included applying chewed tobacco from cigarettes, cigars or pipes. Making cuts around the puncture or sucking out the venom had been thought helpful in the past, but this course of treatment is now strongly discouraged, due to the risk of self-envenomation through knife cuts or cuts in the mouth (suction cups from snake bite kits can be used, but suctioning seldom provides any measurable benefit). Especially noteworthy is progress regarding the defensive reaction by which the blood may be rendered proof against venom, by processes similar to vaccination — antipoisonous serotherapy. ↑ "Reptile Venom Research". Australian Reptile Park. Retrieved 21 December 2010. 1 2 3 4 5 6 (Edited by) Bauchot, Roland (1994). Snakes: A Natural History. New York City, NY, USA: Sterling Publishing Co., Inc. pp. 194–209. ISBN 1-4027-3181-7. 1 2 3 (edited by) Halliday; Adler, Tim; Kraig (2002). Firefly Encyclopedia of Reptiles and Amphibians. Toronto, Canada: Firefly Books Ltd. pp. 202–203. ISBN 1-55297-613-0. 1 2 Bottrall, Joshua L.; Frank Madaras; Christopher D Biven; Michael G Venning; Peter J Mirtschin (30 September 2010). "Proteolytic activity of Elapid and Viperid Snake venoms and its implication to digestion". Journal of Venom Research. 1 (3): 18–28. PMC 3086185 . PMID 21544178. ↑ Condrea, E.; De Vries, A.; Mager, J. (February 1964). "Hemolysis and splitting of human erythrocyte phospholipids by snake venoms". Biochimica et Biophysica Acta (BBA) - Specialized Section on Lipids and Related Subjects. 84 (1): 60–73. doi:10.1016/0926-6542(64)90101-5. PMID 14124757. ↑ Rodríguez-Ithurralde, D.; R. Silveira; L. Barbeito; F. Dajas (1983). "Fasciculin, a powerful anticholinesterase polypeptide from Dendroaspis angusticeps venom". Neurochemistry International. 5 (3): 267–274. doi:10.1016/0197-0186(83)90028-1. PMID 20487949. ↑ Hodgson, Wayne C.; Wickramaratna, Janith C. (September 2002). "In vitro neuromuscular activity of snake venoms" (PDF). Clinical and Experimental Pharmacology and Physiology. 29 (9): 807–814. doi:10.1046/j.1440-1681.2002.03740.x. PMID 12165047. ↑ He, Ying-Ying; Lee, Wei-Hui; Zhang, Yun (September 2004). "Cloning and purification of α-neurotoxins from king cobra (Ophiophagus hannah)". Toxicon. 44 (3): 295–303. doi:10.1016/j.toxicon.2004.06.003. PMID 15302536. ↑ Bernardoni, Juliana L.; Sousa, Leijiane F.; Wermelinger, Luciana S.; Lopes, Aline S.; Prezoto, Benedito C.; Serrano, Solange M. T.; Zingali, Russolina B.; Moura-da-Silva, Ana M. (2014-10-14). "Functional Variability of Snake Venom Metalloproteinases: Adaptive Advantages in Targeting Different Prey and Implications for Human Envenomation". PLOS ONE. 9 (10): e109651. doi:10.1371/journal.pone.0109651. ISSN 1932-6203. PMC 4196926 . PMID 25313513. ↑ Hermans, C.; Wittevrongel, C.; Thys, C.; Smethurst, P. A.; Van Geet, C.; Freson, K. (August 2009). "A compound heterozygous mutation in glycoprotein VI in a patient with a bleeding disorder". Journal of Thrombosis and Haemostasis. 7 (8): 1356–1363. doi:10.1111/j.1538-7836.2009.03520.x. PMID 19552682. ↑ Broad, AJ; Sutherland, SK; Coulter, AR (17 May 1979). "The Lethality in mice of dangerous Australian and other snake venoms" (PDF). Toxicon. 17 (6): 661–664. doi:10.1016/0041-0101(79)90245-9. PMID 524395. Retrieved 29 December 2013. ↑ Rosen, FS. (31 July 2003). "Edwin J. Cohn and the Development of Protein Chemistry". The New England Journal of Medicine. 349 (5): 511–512. doi:10.1056/NEJM200307313490522. Retrieved 31 December 2013. ↑ Brodniewicz-Proba, T (December 1991). "Human Plasma Fractionation and the Impact of New Technologies on the Use and Quality of Plasma-derived Products". Blood Reviews. 5 (4): 245–257. doi:10.1016/0268-960x(91)90016-6. PMID 1782484. 1 2 3 4 5 Fry, B.G. ; Casewell, N.R. ; Wuster, W.; Vidal, N.; Jackson, T. N. W.; Young, B. (2012). "The structural and functional diversification of the Toxicofera reptile venom system". Toxicon. 60 (4): 434–448. doi:10.1016/j.toxicon.2012.02.013. PMID 22446061. 1 2 3 Casewell, N.R. ; Wuster, W.; Vonk, F.J.; Harrison, R.A.; Fry, B.G. (2013). "Complex cocktails: the evolutionary novelty of venoms". Trends in Ecology & Evolution. 28 (4): 219–229. doi:10.1016/j.tree.2012.10.020. ↑ Lomonte, B.; Fernandez, J.; Sanz, L.; Angulo, Y.; Sasa, M.; Gutierrez, J. M.; Calvete, J. J. (2014). "Venomous snakes of Costa Rica: Biological and medical implications of their venom proteomic profiles analyzed through the strategy of snake venomics". Journal of Proteomics. 105: 323–339. doi:10.1016/j.jprot.2014.02.020. ↑ Lynch, Vincent J. (January 2007). "Inventing an arsenal: Adaptive evolution and neofunctionalization of snake venom phospholipase A2 genes". BMC Evolutionary Biology. 7 (2): 2. doi:10.1186/1471-2148-7-2. PMC 1783844 . PMID 17233905. ↑ Pahari, S.; Bickford, D.; Fry, B. G.; Kini, R. M. (2007). "Expression pattern of three-finger toxin and phospholipase A2 genes in the venom glands of two sea snakes, Lapemis curtus and Acalyptophis peronii: Comparison of evolution of these toxins in land snakes, sea kraits and sea snakes". BMC Evolutionary Biology. 7: 175. doi:10.1186/1471-2148-7-175. PMC 2174459 . PMID 17900344. 1 2 Barlow, A.; Pook, C. E.; Harrison, R. A.; Wuster, W. (July 2009). "Coevolution of diet and prey-specific venom activity supports the role of selection in snake venom evolution". Proceedings of the Royal Society B: Biological Sciences. 276 (1666): 2443–9. doi:10.1098/rspb.2009.0048. JSTOR 30244073. PMC 2690460 . PMID 19364745. ↑ Jansa, Sharon A.; Voss, Robert S. (22 June 2011). "Adaptive evolution of the venom-targeted vWF protein in opossums that eat pitvipers". PLoS ONE. 6 (6): e20997. Bibcode:2011PLoSO...620997J. doi:10.1371/journal.pone.0020997. PMC 3120824 . PMID 21731638. ↑ Calvete, J.J.; Ghezellou, P.; Paiva, O.; Matainaho, T.; Ghassempour, A.; Goudarzi, H.; Kraus, F.; Sanz, L.; Williams, D.J. (2012). "Snake venomics of two poorly known Hydrophiinae: Comparative proteomics of the venoms of terrestrial Toxicocalamus longissimus and marine Hydrophis cyanocinctus". Journal of Proteomics. 75 (13): 4091–4101. doi:10.1016/j.jprot.2012.05.026. PMID 22643073. ↑ Li, M.; Fry, B.G. ; Kini, R.M. (2005). "Eggs-only diet: Its implications for the toxin profile changes and ecology of the marbled sea snake (Aipysurus eydouxii)". Journal of Molecular Evolution. 60 (1): 81–9. doi:10.1007/s00239-004-0138-0. PMID 15696370. ↑ Mackessy, Stephen P. (2010). "Evolutionary trends in venom composition in the Western Rattlesnakes (Crotalus viridis sensu lato): Toxicity vs. tenderizers". Toxicon. 55 (8): 1463–1474. doi:10.1016/j.toxicon.2010.02.028. PMID 20227433. ↑ Saviola, Anthony J.; Chiszar, David; Busch, Chardelle; Mackessy, Stephen P. (2013). "Molecular basis for prey relocation in viperid snakes". BMC Biology. 11 (1): 20. doi:10.1186/1741-7007-11-20. ↑ McCue, M. D. (October 2007). "Prey envenomation does not improve digestive performance in western diamondback rattlesnakes (Crotalus atrox)". Journal of Experimental Zoology Part A: Ecological Genetics and Physiology. 307A (10): 568–577. doi:10.1002/jez.411. PMID 17671964. ↑ Martin, Charles James; Lamb, George (1907). "Snake-poison and Snake-bite". In Allbutt, T.C. ; Rolleston N.D. A System of Medicine. London: MacMillan. pp. 783–821. ↑ McCleary, R. J.; Kini, R. M. (2013). "Non-enzymatic proteins from snake venoms: A gold mine of pharmacological tools and drug leads". Toxicon. 62: 56–74. doi:10.1016/j.toxicon.2012.09.008. PMID 23058997. ↑ Zouari-Kessentini, R; Srairi-Abid, N; Bazaa, A; El Ayeb, M; Luis, J; Marrakchi, N (2013). "Antitumoral potential of Tunisian snake venoms secreted phospholipases A2". BioMed Research International. 2013: 391389. doi:10.1155/2013/391389. PMC 3581298 . PMID 23509718. ↑ Vyas, V. K.; Brahmbhatt, K; Bhatt, H; Parmar, U; Patidar, R (2013). "Therapeutic potential of snake venom in cancer therapy: Current perspectives". Asian Pacific Journal of Tropical Biomedicine. 3 (2): 156–62. doi:10.1016/S2221-1691(13)60042-8. PMC 3627178 . PMID 23593597. ↑ Jain, D; Kumar, S (2012). "Snake venom: A potent anticancer agent". Asian Pacific Journal of Cancer Prevention. 13 (10): 4855–60. doi:10.7314/apjcp.2012.13.10.4855. PMID 23244070. ↑ De Oliveira Junior, N. G.; e Silva Cardoso, M. H.; Franco, O. L. (2013). "Snake venoms: Attractive antimicrobial proteinaceous compounds for therapeutic purposes". Cellular and Molecular Life Sciences. 70 (24): 4645–58. doi:10.1007/s00018-013-1345-x. PMID 23657358. ↑ Woolf, C. J. (2013). "Pain: Morphine, metabolites, mambas, and mutations". The Lancet Neurology. 12 (1): 18–20. doi:10.1016/S1474-4422(12)70287-9. PMID 23237896. ↑ Osipov, A; Utkin, Y (2012). "Effects of snake venom polypeptides on central nervous system". Central nervous system agents in medicinal chemistry. 12 (4): 315–28. doi:10.2174/187152412803760618. PMID 23270323. ↑ "Sterile tail abscess in Naja annulifera - self-envenomation case". Retrieved 2 April 2009. ↑ Grasset, E., (Geneva), M.D., Zoutendykanda, A., Schaafsma, A., 1935. Studies on the toxic and antigenic properties of Southern African snake venoms with specialreference to the polyvalency of South African antivenene. Trans. R. Soc. Trop. Med. Hygiene 28, 601e612. ↑ "Farewell to these famous Floridians". Florida Trend. December 19, 2011. Retrieved 2 April 2012. ↑ Rosenberg, Carol (June 21, 2011). "Bill Haast dies at 100; snakes were the charm for south Florida celebrity". Los Angeles Times. Retrieved 2012-10-16. ↑ Schudel, Matt (2011-06-18). "Bill Haast dies at 100: Florida snake man provided venom for snakebite serum". The Washington Post. Retrieved 2012-10-16. ↑ "Man makes deadly snakes bite him 160 times in hunt for human antidote | Americas | News | The Independent". 2016-01-21. Retrieved 2016-07-07. ↑ Hiremath, V. T.; Taranath, T. C. (February 2010). "Traditional Phytotherapy for Snake bites by Tribes of Chitradurga District, Karnataka, India". Ethnobotanical Leaflets. 14 (2): 120–125. ↑ Zethelius, M.; Balick, M. J. (1982). "Modern medicine and shamanistic ritual: A case of positive synergistic response in the treatment of a snakebite" (PDF). Journal of Ethnopharmacology. 5 (2): 181–185. doi:10.1016/0378-8741(82)90042-3. PMID 7057657. Retrieved 2012-10-16. ↑ "Treating Snake Bites". Ces.ncsu.edu. Retrieved 2012-10-16. ↑ "CDC - Venomous Snakes - NIOSH Workplace Safety and Health Topic". CDC.gov. 2016-07-01. Retrieved 2016-07-07. Wikimedia Commons has media related to Snake venom toxins. Shaw IC (2007). "Chapter 19: Snake Toxins". In Waring RH, Steventon GB, Mitchell SC. Molecules of Death (Second ed.). River Edge, N.J: Imperial College Press. pp. 329–344. ISBN 1-86094-815-4.